WTF?! Since the dawn of video games, concerned parents have worried about their kids becoming addicted. Thanks to the advent of the internet and streaming platforms like Twitch, gaming is more popular today than ever before, but does that mean children are more at risk? 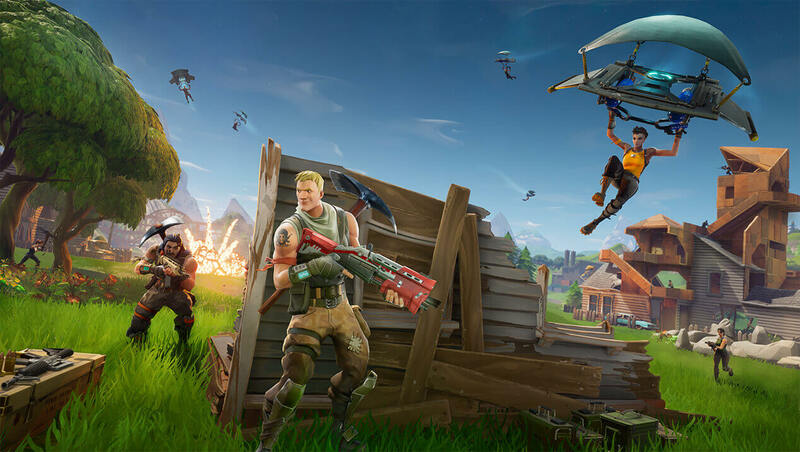 One UK couple would likely agree, after their nine-year-old daughter was put into rehab to address her addiction to Fortnite. Battle Royale games continue to be incredibly popular—the mode was confirmed to appear in the upcoming Battlefield V at EA’s E3 conference yesterday. And while former king PUBG keeps losing players, Fortnite: Battle Royale is going from strength to strength, no doubt helped by endorsements from celebrities and athletes who are fans of the game. While Epic Games’ free title is especially popular among younger players, it proved too addictive for one gamer, who decided to wet herself rather than walk away from the screen to use the bathroom. The Mirror reports that the girl’s parents bought her an Xbox One in January and she downloaded Fortnite. But by mid-March she was showing signs of addiction. "We got called in by her head ­teacher asking if ­everything was OK. She had fallen asleep twice in lessons and her grades were slipping," said mother Carol. "When we asked our daughter what the ­problem was, she became unusually ­argumentative and aggressive, which we just put down to her hormones." The family also started noticing regular payments of £50 ($67) per month on their credit card, which the daughter said could be from some extras she’d paid for on Fortnite. When they confiscated the console, the girl reportedly hit her father in the face. The parents said they had limited their daughter’s playtime on the Xbox to one hour during school nights and two hours on a weekend. But the seriousness of the situation was made apparent when her father found her sitting on a urine-soaked cushion while playing the game. “I found her backside was red-raw. She was so hooked to the game she wouldn’t even go to the toilet,” said Carol. That incident, and after admitting she was secretly playing the game throughout the night for up to 10 hours at a time, led to her parents seeking professional help for their daughter. She is now receiving psychotherapy to help break her Fortnite addiction. It seems that as video games become ever more mainstream, they’re once again facing the same unfounded accusations that we saw decades ago. Recent school shootings saw ‘violent’ titles put under the spotlight, and the World Health Organization’s decision to classify ‘gaming disorder’ as an official condition didn’t help things. In the case of the nine-year-old who couldn't stop playing Fortnite, which has a PEGI rating of 12, perhaps people should look more toward the parents instead of the game.